The food was donated to Long Island Cares' Baxter's Pet Pantry. Nassau County, NY - September 11, 2014 - When families go hungry pets go hungry too. The effects of the economy reach far beyond just people; it's a sad and stark truth. That is why the Nassau County SPCA, when given the opportunity this week delivered 9600 pounds of dog food to Long Island Cares' Baxter's Pet Pantry. In these difficult times, many families are faced with the hard decision of giving up their pet, because they can no longer properly care for them, this is not the answer. For some, pets are their only family or friend. The human-animal bond is vital to a person's well-being, offering companionship, unconditional love, joy, comfort, friendship and acceptance - all without judgment. No one should face the decision of giving up their pets just because they have no resource for pet food. Families in our community should not have to choose between feeding themselves or their pets. The Nassau County SPCA is asking everyone, civic organizations, religious groups, businesses, families and individuals please when you do your food drives or make your food pantry donation please remember to include a can or bag of pet food. Together we can help changes the lives of these animals, and make an impact if we don't forget pets go hungry too. 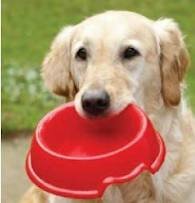 Please Don't Let a Pet Have an Empty Bowl!!! If are reporting an emergency, or that an animal is it about to be imminently injured or killed, CALL 911 and request immediate police response. Subject: LongIsland.com - Your Name sent you Article details of "Nassau County SPCA Delivers 9600lbs of Dog Food"